Rock climbing is one of the best activities you can take part in if you’re looking for fun, fitness and a boost of adrenaline. Although rock climbing is often viewed as a sport for daredevils, it can be enjoyed by just about anyone. We’ve compiled this guide to get you started on your rock climbing journey. Here’s everything you need to get your first leg up. You don’t start rock climbing by throwing yourself at a wall. First, you need to find a qualified guide. 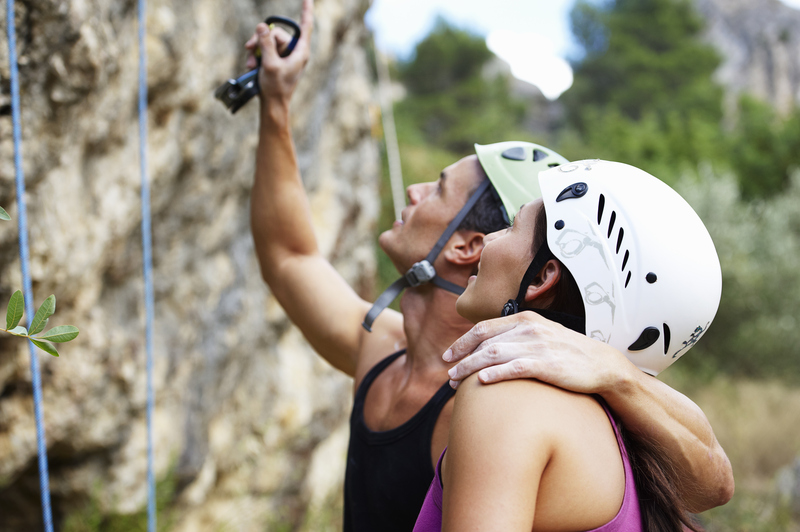 You can find a certified instructor through rock climbing classes at the gym or through a local climbing organization. You can also take the guidance of an experienced friend. 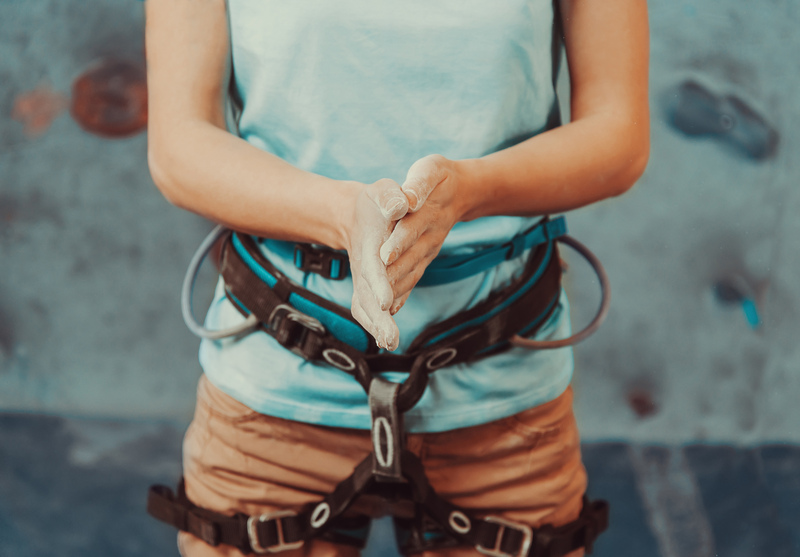 There are different types of rock climbing including bouldering, indoor climbing, outdoor top-rope climbing, outdoor sport climbing, and traditional climbing. It may be best to choose just one type of climbing so you can match your training to your interest. Not all types of rock climbing require a harness. For instance, bouldering only requires some good climbing shoes, hand chalk, and a few other supplies. Do your research into each before making a decision. Outdoor sport climbing and traditional climbing (or trad climbing) are more advanced styles. It may be worth trying your hand at one of the other types of rock climbing first before moving onto these two. Once you have your gear and you’re ready to roll, it’s time to find a route. Ask your guide or your local climbing organization about good locations and routes for beginners. Where can I find supplies for climbing? Whether it’s your first trip or you’re an experienced climber, you need to have the right supplies for rock climbing to stay safe. Bill Jackson’s has the bouldering gear and climbing supplies you need no matter your rock climbing techniques or skill level. To learn more about our rock climbing equipment or other types of adventure gear, contact Bill Jackson’s today.